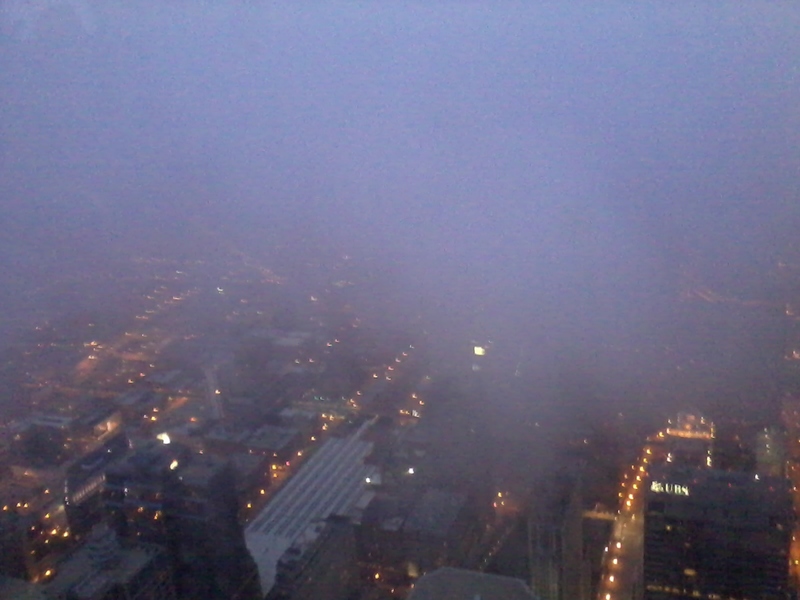 This post is inspired by my time at the Willis Tower. The translucent white crystals form a carpet below us, a soft and fragile surface that begs to be touched. The beauty of our surrounds demands deep reflection on our place in this vast, changing world. Seeing the land stretch out in every direction below us, the under-layer of green and grey, of city lights and traffic reminds us how nature has been forced to co-exist with the urban lifestyle. To the East, water stretches its milky-blue, steely coldness to the edges of the Earth. To the past, swamps, wild onions, low scrubland and hardy animal populations cover this beautifully flat landscape with ever-changing weather. From blistering heat to incredible winter freezes, this is a story of nature’s fearsome beauty. Here, stunning architectural masterpieces imbibe the populace with hope for an equally beautiful, if sometimes difficult, future. I stand above it all, tempted by the thinning carpet. Leaning my head against the below-zero glass keeping me safely inside, I imagine what it must feel like to be a bird soaring above it all. To be a master-builder precariously perched between scaffolding at such heights, constructing the brave cigarette-tower that stands as protectorate over a growing, sprawling city. To be the building, withstanding high winds, freezing cold and unimaginable heat, a symbol of greatness when all else seems to fail. I imagine stepping out onto the racing clouds, my body tensed to support my own weight on those precarious magical carpets. Running through the sky, spinning in the wind, releasing my inner gymnast far above the city streets. I pretend that we are so far up that gravity is no longer tying us to the ground, that we can drift, dance, float freestyle to explore the world from a completely different perspective. I wonder if this is what it is like to pilot a light aircraft, the closest thing we have to truly spreading our wings. Here, it seems like nothing can hurt us. Here, on my thin white carpet, nothing is impossible.